Toronto’s cocktail scene is, quite frankly, fabulous. Cocktails wet the appetite and thus you must have equally mouth-watering tapas while you drink. That is why two of Toronto’s top 10 Restaurants will be featured on this high-end food crawl as well as a newcomer to the city. 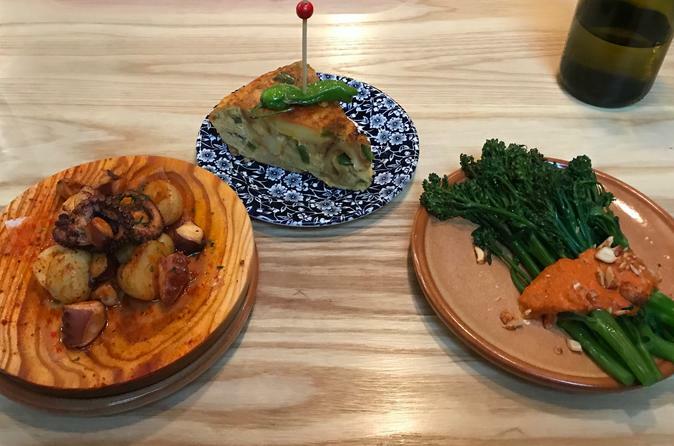 Learn and experience Spanish Tapas culture by visiting an authentic Tapas bar with 'pinxos' and 'raciones' bursting with flavour. Then embrace Toronto's multicultural side and enjoy food and drinks with an ethnic twist at two spots along the trendy College Street Strip. Begin the tour with traditional tapas and sherry-based cocktails in an authentic Spanish tapas bar. Learn about tapas culture as you socialize Spanish style. Then head down the road to enjoy variations on tapas and drinks with a French-Cantonese flair. End on a high note and get funky with a 70’s theme bar featuring soul food, and cocktails as stylish as the bar their served at. Come for the food, stay for the music. You’ll leave inspired to create your own cocktails at home.